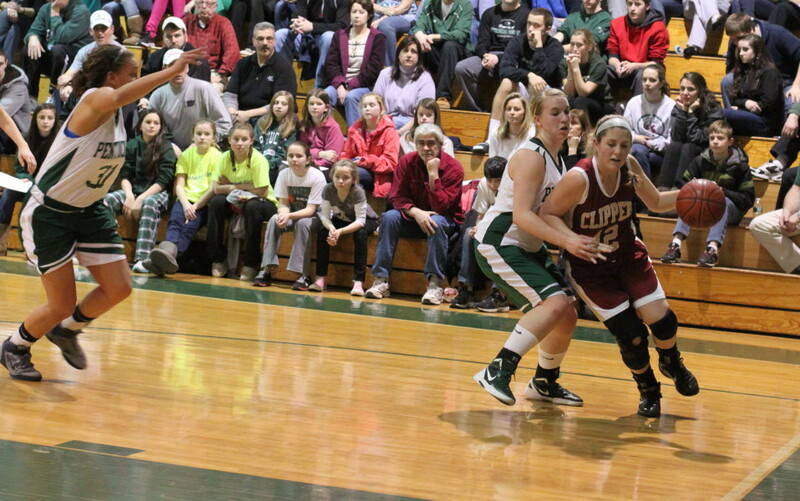 Coley Viselli (15 points) applies backcourt pressure to Molly Rowe. 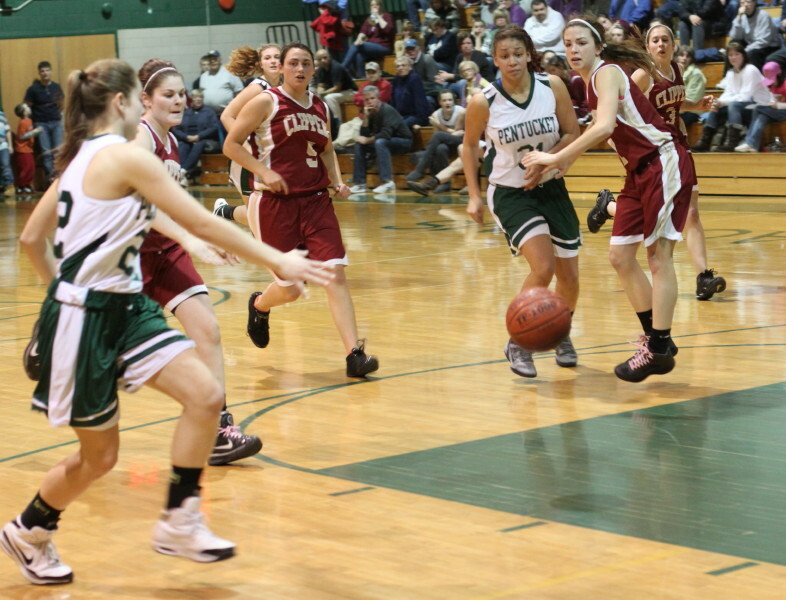 (West Newbury) Pentucket defeated Newburyport, 49-30, on Monday night in a game that was settled in the third quarter. 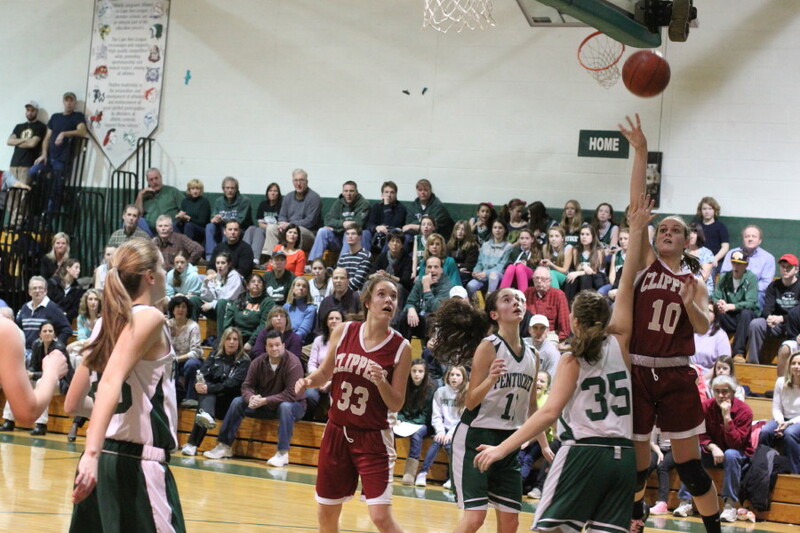 The Sachems (15-4) scored the first fourteen points in that decisive quarter, helped by six Clipper turnovers, and Pentucket’s 24-17 halftime lead burst into a 38-17 rout with 2 ½ minutes left in that quarter. The Clippers (11-7) put together a 10-2 run in the final quarter but had given up way too much ground in the previous quarter to pose any sort of challenge late. 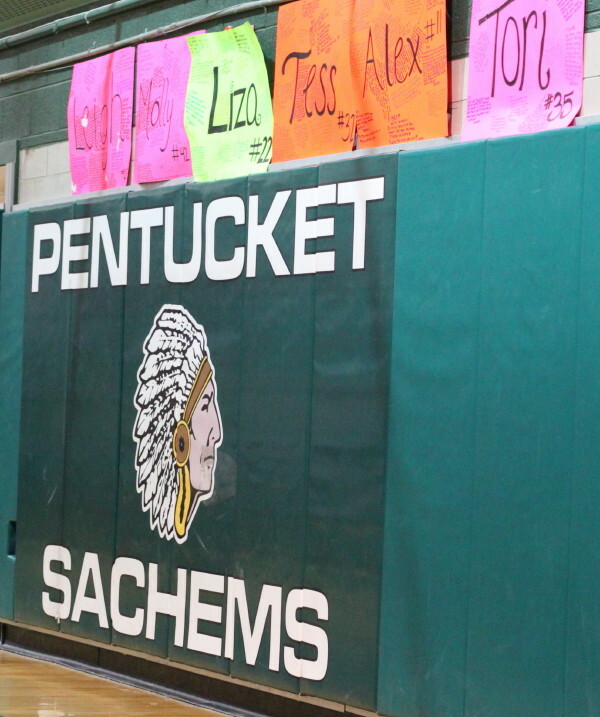 Pentucket has now won seven straight and twelve of their last thirteen. To say that they’re on a roll, is an understatement. Their pressure defense forces opponents to be uncomfortable anywhere on the court. Against the Clippers, their half-court offense looked very smooth. The Clippers/Sachems matched up in the season opener on December 12th in Newburyport. 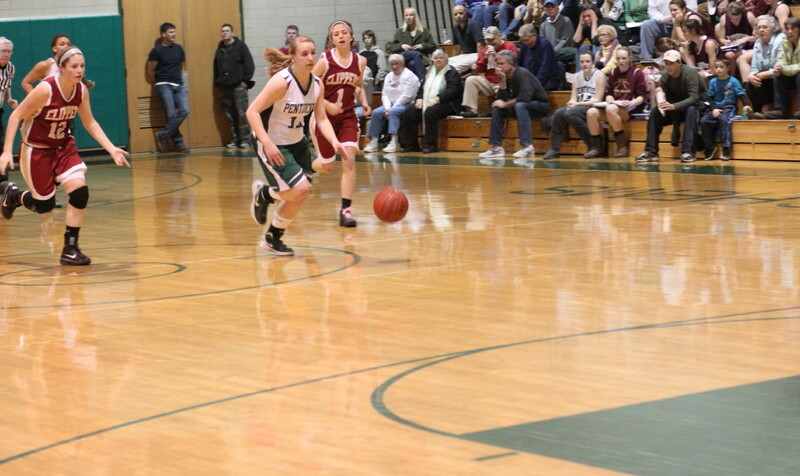 Pentucket won, 44-37. In that one, Newburyport trailed by just two (35-32) with five minutes left. 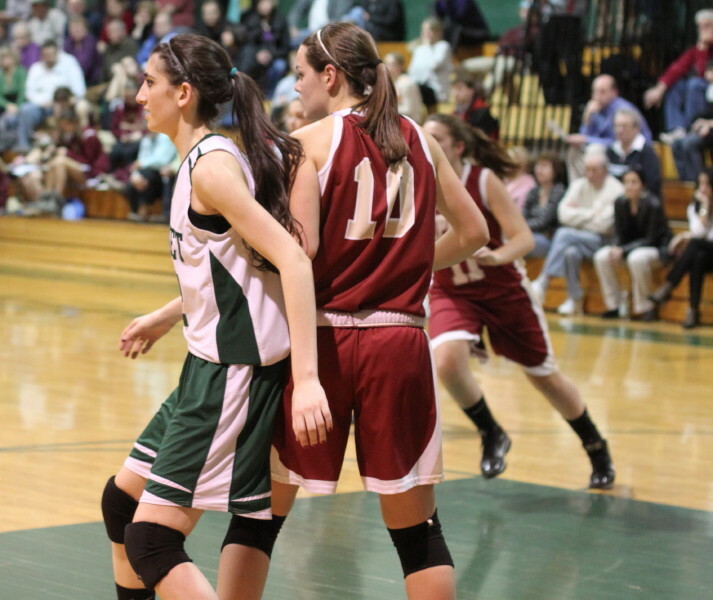 The Sachems pressure defense worked but their poor long-range shooting kept the game close. This time the Sachems kept the pressure defense (forced twenty turnovers) but took fewer long ones and instead took more drives to the basket. 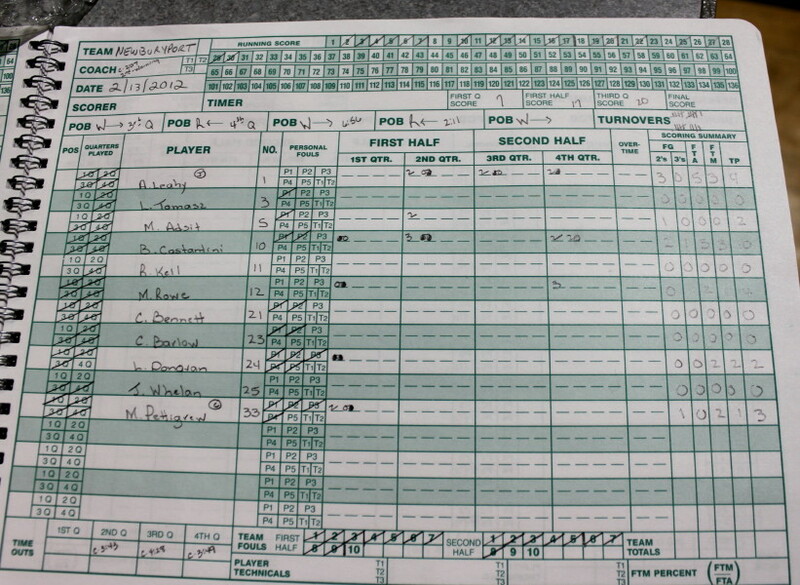 Pentucket made fifteen baskets (other than free throws) and twelve of them were layups, another basket was a converted rebound, and the other two were three’s. 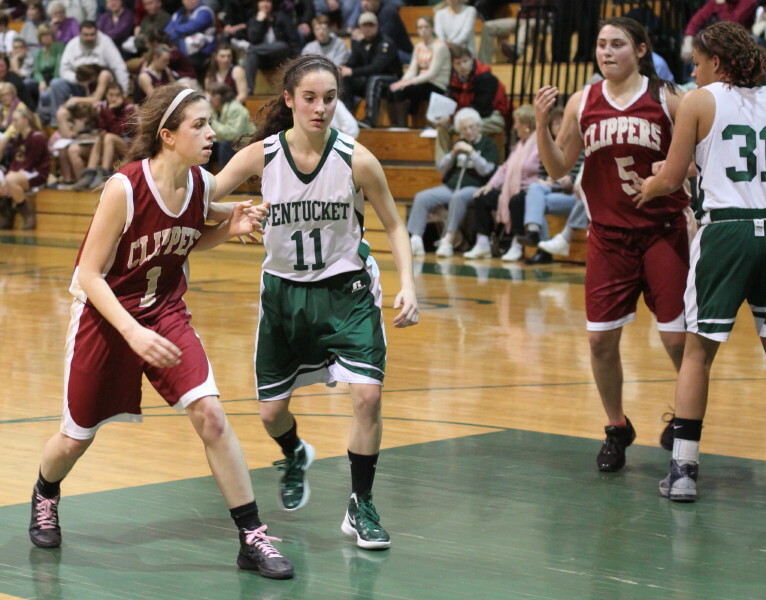 The Pentucket pressure gave Newburyport a lot of problems as expected but the killer for the Clippers was the early foul trouble of Lilly Donovan and Mary Pettigrew. 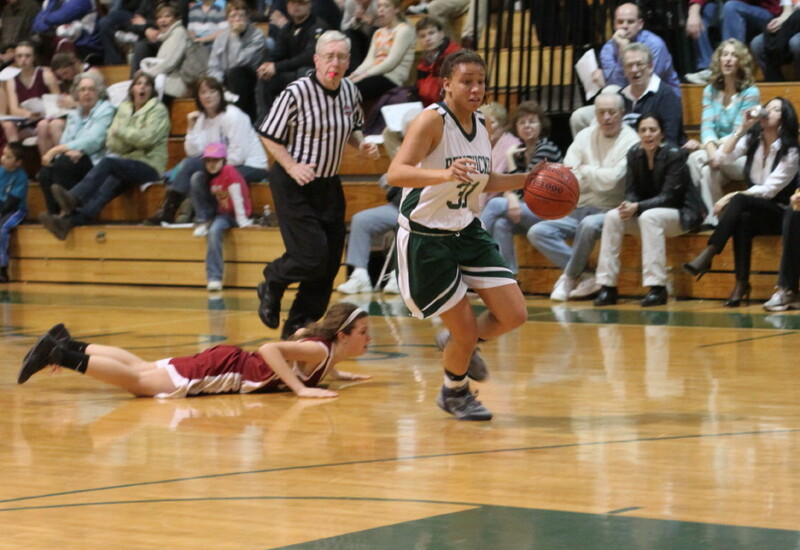 Both of them had four fouls, two minutes into the second half. 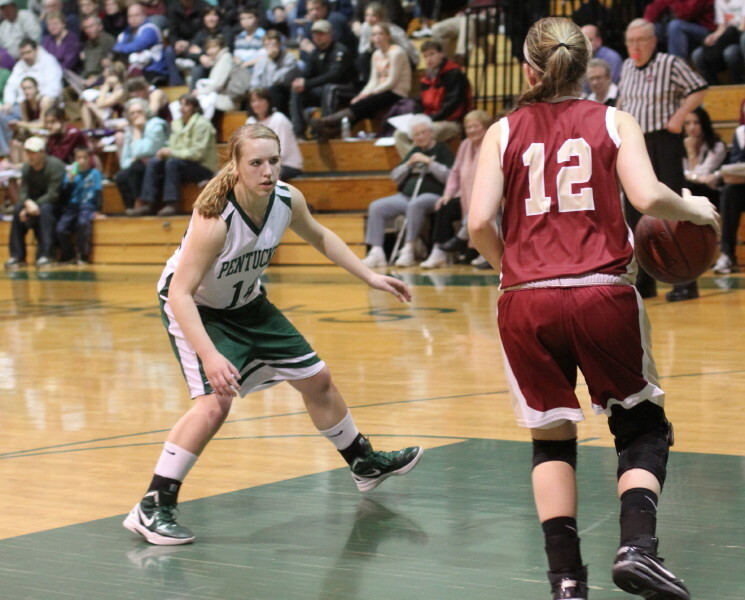 It was no coincidence that with Lilly and Mary on the bench Pentucket’s five-point run, that started the third quarter, turned into a fourteen-point run. The Pentucket points in The Run were; Leigh McNamara -free throw, Sarah Higgins – two layups (assisted on one of them by Alex Moore), and Coley Viselli – layup, two free throws and a three assisted by Sarah Higgins. The home team started fast jumping in front 14-5 after three minutes. But credit the Clippers, they rallied back into contention (16-13) midway into the second quarter with a three by Beth Castantini from Lilly Donovan within the rally. 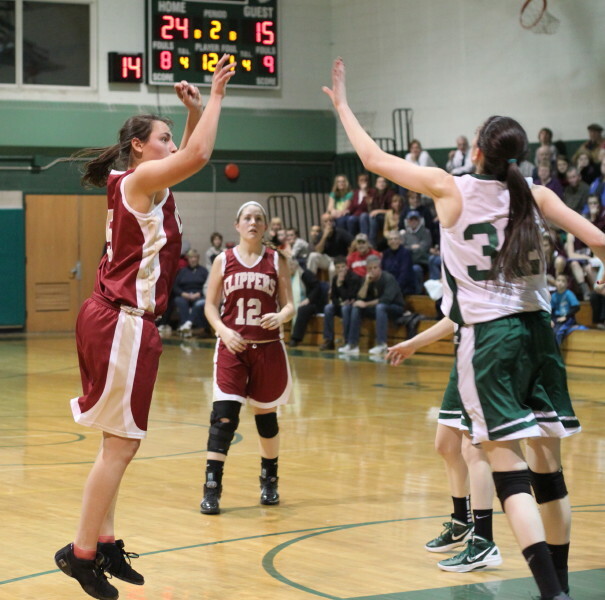 A jump shot by Meri Adsit (from Molly Rowe) with ten seconds left had the Clippers within range (24-17) at the half. Last year the Clippers upset Pentucket (53-52) at Pentucket so the seven-point halftime deficit didn‘t appear insurmountable. But six minutes of playing time later, that wasn’t the case. 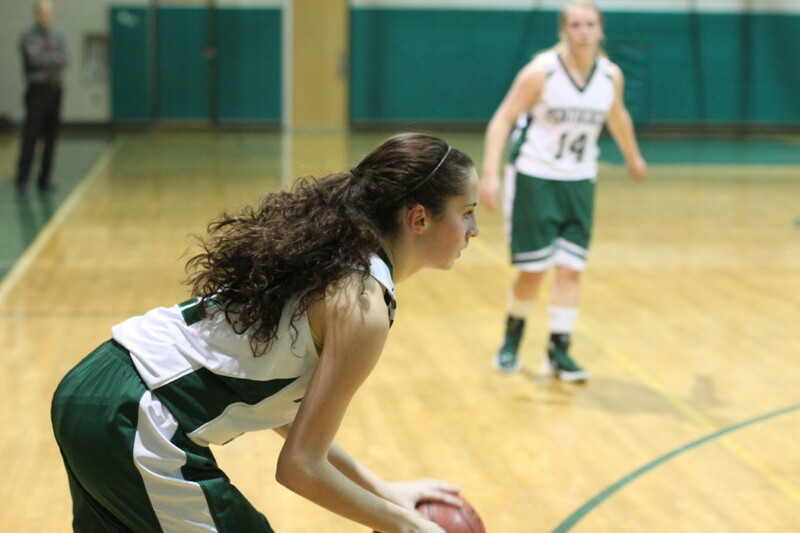 Coley Viselli (15 points) led all scorers while teammates Sarah Higgins and Tess Nogueira had 13 points apiece. The trio was solid on defense as well. 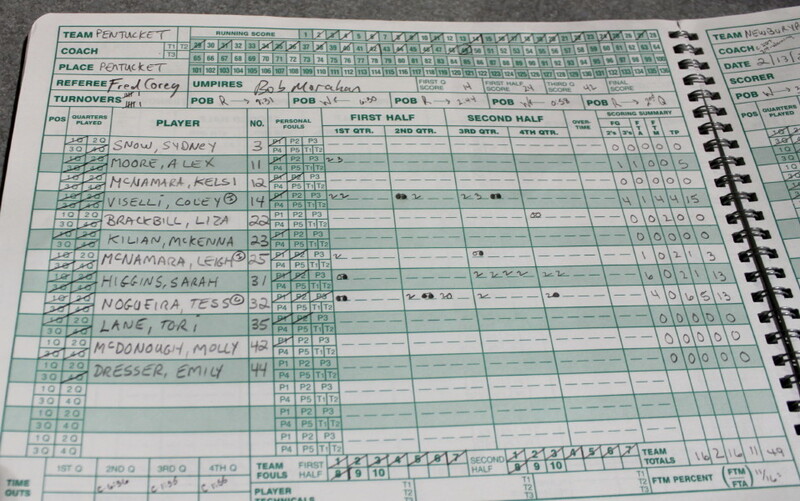 Beth Castantini paced Newburyport with ten points while teammate Aly Leahy had nine points. Pentucket has their last home game on Wednesday against Triton. 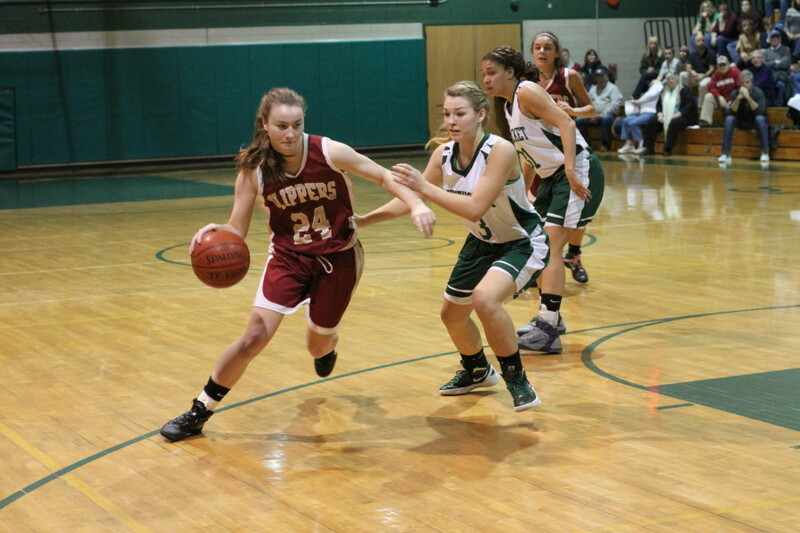 Newburyport will look to end their four-game losing streak at Amesbury on Thursday. AHS coach Chris Perry just “happened” to be at the game tonight. There was a rumor at the game that the gymnasium would soon be named after Al Gore. Most of the folks there were hot under the collar by game’s end. One of the referees gave NHS coach Gregg Dollas a warning (for friendly advice?) with two minutes left in the first half. From long range, it sounded to me as if the referee told the scorekeeper, “Two minute warning on the Newburyport coach.” That somehow sounded like football terminology to me.